The Daniel Plan: 40 Days to a Healthier Life by Rick Warren, Daniel Amen and Mark Hyman. The Daniel Plan is broken into five key Essentials: Faith, Food, Fitness, Focus and Friends. While these are not unique to wellness and health, you rarely see all five so well packaged together. The Daniel Plan demonstrates the role of each in maintaining health—and more importantly, shows a correlation between them. Written from a distinctively Christian perspective, “Faith” in the The Daniel Plan is not merely holding a sincere religious belief, but a commitment to God through Jesus Christ. The basis of Faith in the The Daniel Plan is much more precise than believing in a higher power; it is rooted in the Christian’s Bible. One of the significant elements found in the book is that relegating Faith to spiritual devotion, segmented from the routine everyday life, is not the message of the authors. Rather, the life of faith intersects with all aspects of life and is revealed in each of the five Essentials for a healthier life. It is one of the best books I have read on health—particularly from a Christian perspective. For more of my thoughts on The Daniel Plan see my blog post: The Daniel Plan: A Faith Approach to Well-being. 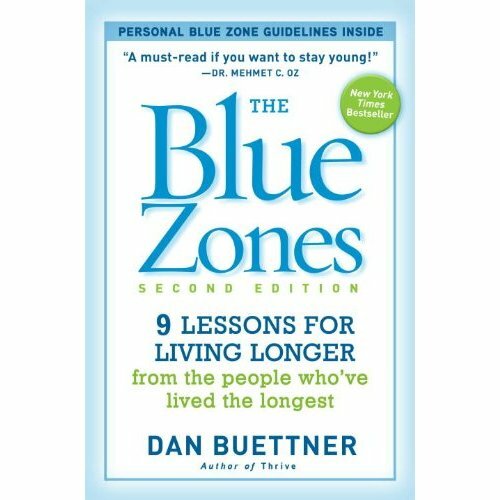 Thrive: Finding Happiness the Blue Zones Way by Dan Buettner. Following the methodology of his first book, Blue Zones, Buettner travels to four areas of world where there is apparent higher levels of happiness. These are Denmark, Singapore, Monterrey Mexico, and San Louis Obispo California. While it is a book about happiness, the value I find is in understanding the principles of well-being which are interwoven in the research and stories. And, while Thrive will focus on many aspects of our lives outside of work, employers will discover why caring about the happiness of employees matters. Zero Trends: Health As a Serious Economic Strategy by D. W. Edington . Wellness is one of the buzz words in HR and corporate America today; Eddington takes wellness to a new level. In fact, he provides descriptions of 4 levels of wellness initiatives. The major theme is that improved health status will not only reduce healthcare cost for companies but also increase performance and productivity in the workplace. He contends, rightly, employers must create environments that encourage their employees to stay well and not simply provide care for them when they are sick. 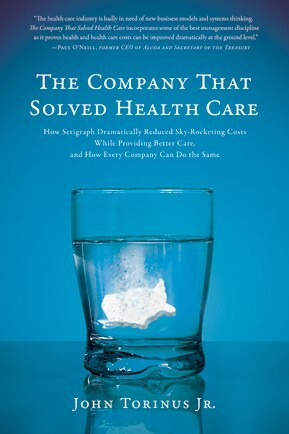 Anyone who is seriously looking to find long-term solutions to managing healthcare cost in their organization and increasing employee productivity should read this book. See Jack’s Favorite Books for Business.